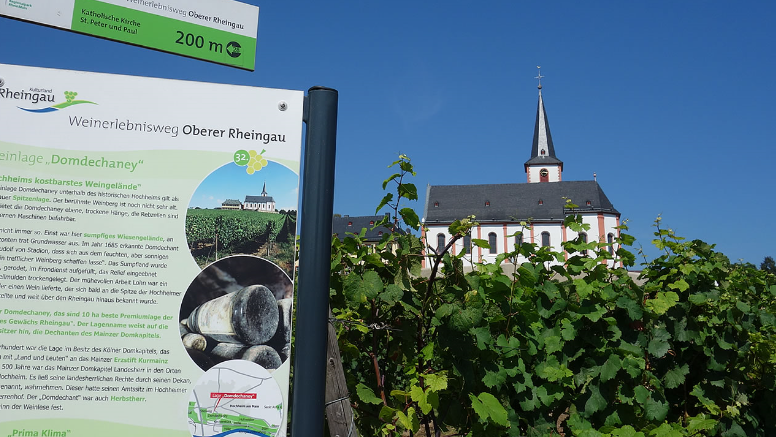 Single location in the municipality Hochheim in the German growing area Rheingau, It formerly belonged to the Mainz cathedral chapter and lies at the foot of the church of St. Peter and Paul. The Mainzer Domdechanten had their summer residence in the vicinity of the location in the so-called Schlösschen, from which derives the name. In the middle of the 18th century, the location was still a short steep slope with a damp meadow lying at the foot and was then converted by the Mainz cathedral deities by earth dumping in a gentle slope. It is reported that in the 18th century in hot years the vineyard of the Main Water led. This page was last modified at 24 April 2018 at 19:57.